Hardcover, 9 x 11.75 in. / 292 pgs / 198 color. Edited by Heiner Bastian. 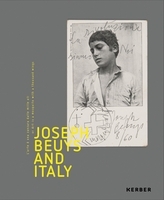 Foreword by Poul Erik Tøjner, et al. Text by Heiner Bastian, Aeneas Bastian. This publication assembles a superb selection of some 200 drawings, watercolors and collages by Joseph Beuys (1921–1986) that has not been made public for more than a quarter of a century. 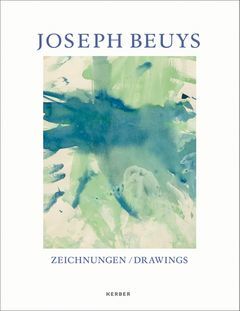 Beuys’ drawings have a special status within his oeuvre, and have been cited by several generations of artists as decisive and influential. These works coined a new idiom in drawing, whose signature features include a deliberate or apparent clumsiness, the use of unorthodox substances such as hare’s blood and rust that seeps deeply into the paper weave, diagrammatic imagery and the use of graph paper. Collage elements (felt, newspaper) further heighten the intense materiality of these works, which is in turn offset by handwritten and typed notes on various projects--embryonic thoughts that add a provisional, processual dimension. This substantial volume documents a milestone oeuvre in twentieth-century drawing. FORMAT: Hbk, 9 x 11.75 in. / 292 pgs / 198 color.